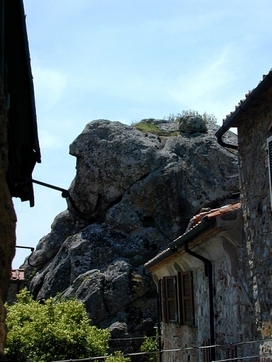 "A cluster of rhyolitic endogenous and exogenous lava domes crops out in the area of Roccatederighi village. Roccatederighi itself is built over such domes. 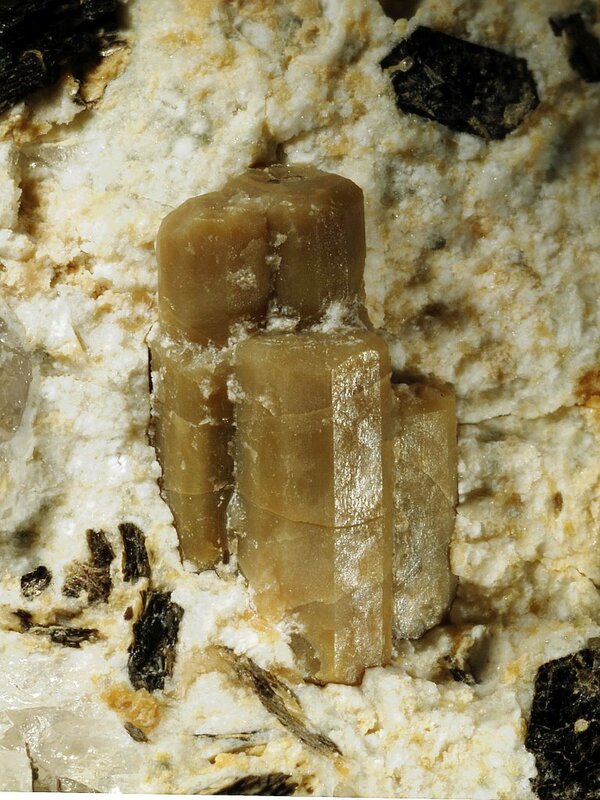 The rock has both a glassy groundmass containing crystals of quartz, K-feldspar (high-T sanidine), plagioclase, and biotite and a microcrystalline groundmass with the presence of K-feldspar (sanidine) megacrysts that in some cases reach sizes up to 5-10 cm across. 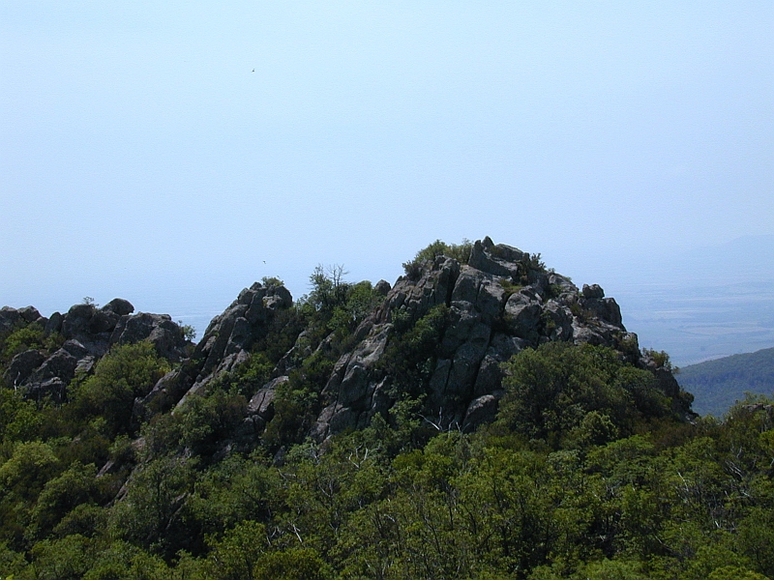 The peculiarity of Roccatederighi rocks is the presence of magmatic cordierite crystals. 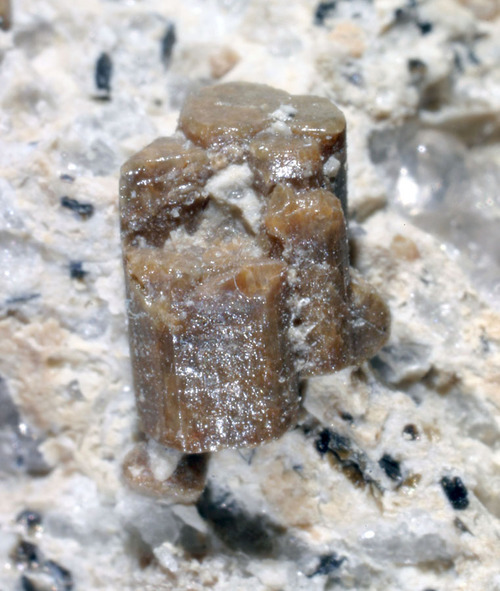 Cordierite occurs as euhedral-subhedral to anhedral crystals in some cases showing a dusty aspect because of alteration into pinite crystals which are often oriented along cracks."